The Rebel Sweetheart. 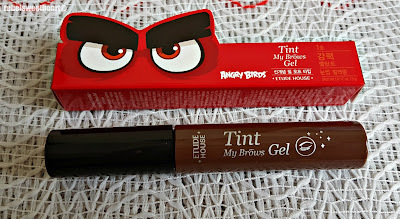 : Spotlight | Etude House x Angry Birds Tint My Brows Gel. 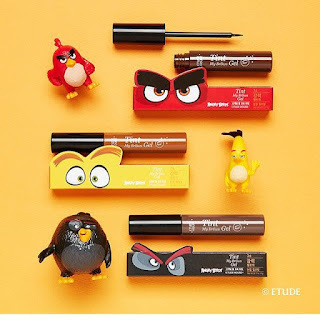 Spotlight | Etude House x Angry Birds Tint My Brows Gel. Halfway through my 29 days in Seoul, I made an accidental discovery while passing by the Etude House store at COEX Mall. Well, it was actually my son who discovered it by chance; he saw Angry Birds posters plastered on the store windows and he practically dragged me inside the store, thinking that they had Angry Birds toys for sale. The poster that piqued my little man's curiosity. There were no toys (of course), much to my son's chagrin. 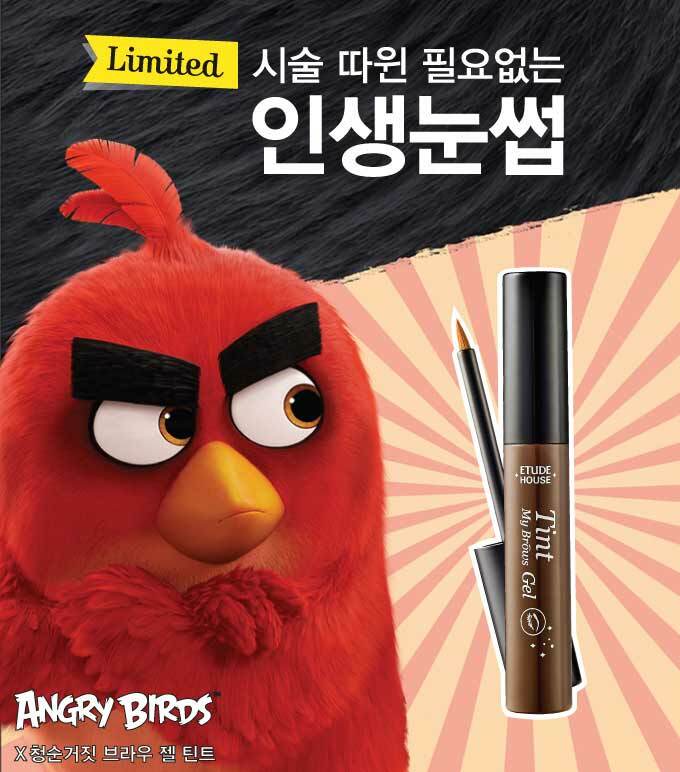 I, on the other hand, found an eyebrow product that may very well be the ultimate solution to my sparse eyebrows. 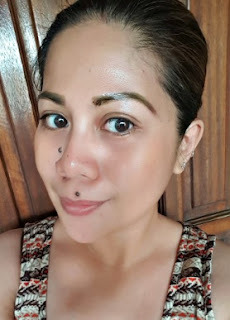 I'm not considering eyebrow embroidery as an option (at least for now) because it's a tad expensive, and I don't want to deal with the pain that comes with the procedure. Etude House x Angry Birds Tint My Brows Gel. 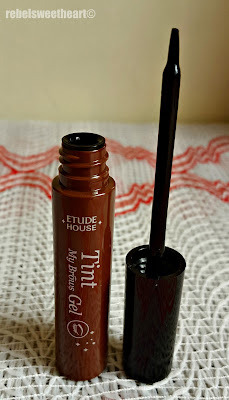 For now, this Tint My Brows Gel from Etude House is my best bet. 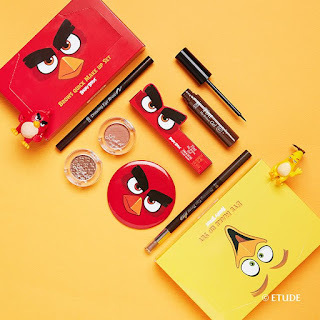 Its packaging is designed after Red (as in the red bird), and the box bears the signature Angry Birds logo. This makeup collaboration between Etude House and Angry Birds was released mid-May, about the same time the Angry Birds Movie hit the cinemas in Korea. Product description and directions for use on the side panel. 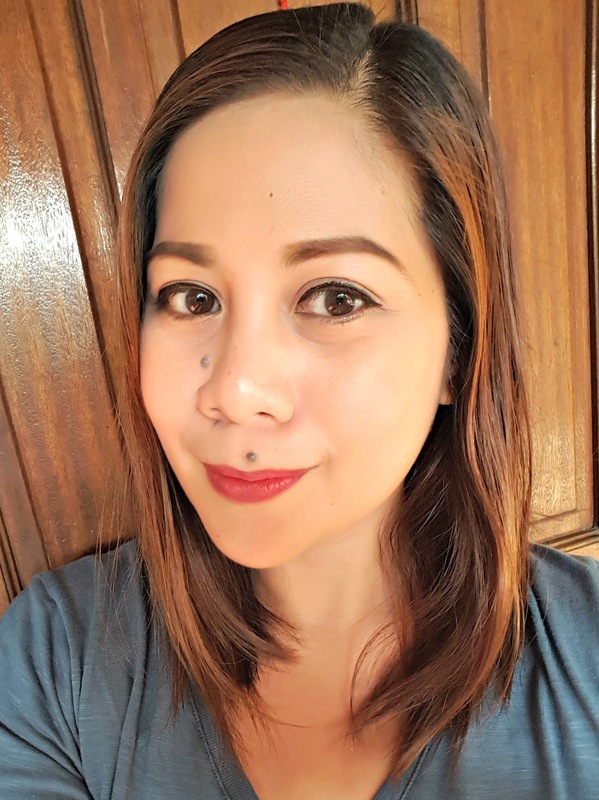 The Tint My Brows Gel functions like an eyebrow tattoo, sans the pain and perpetuity. The other side contains the same, only in Hangul. The tint is housed in a 5-gram tube that comes with a brush applicator. Nothing special about the applicator. 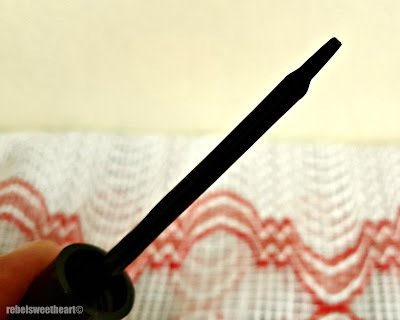 I found it quite tricky to use at first, since the brush isn't exactly angled or tapered. 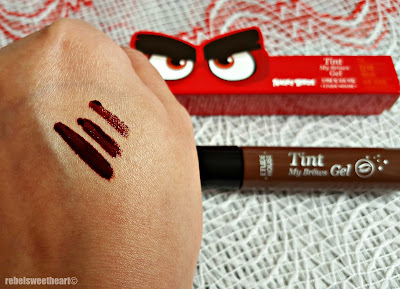 The tint has a relatively thick, gooey consistency and has a very faint chemical scent. Nothing to worry about as the scent fades away as soon as the tint comes in contact with your skin. Swatches: Right-most, one coating; middle, two coatings; left-most, three coatings. The Tint my Brows Gel comes in three different colors. Mine is 01 Brown, while the other shades are 02 Light Brown and 03 Gray Brown. Here's a photo to give you an idea how the other two shades look like. Color reference, Etude House x Angry Birds Tint My Brows Gel. Now let me show you how this product works. As you can see, my eyebrows are extremely sparse - which is why I am always on the look-out for good eyebrow products. All the more if they're easy to use and can reduce my usual morning prep time (as in the time I spend 'drawing' my brows) by half. 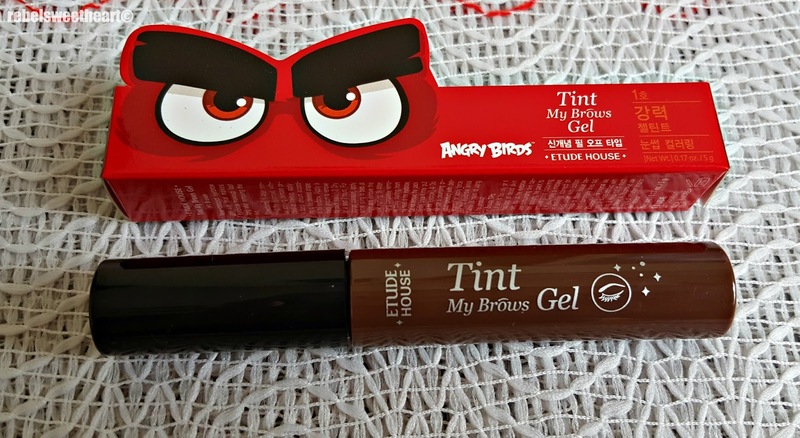 Enter the Etude House x Angry Birds Tint My Brows Gel. which I applied about two or three hours before I hit the sack. 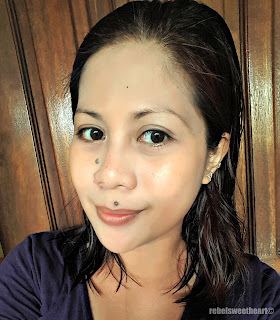 Although it dries in as little as two hours (which I have proven from the first time I used this product), I want the color to be a bit stronger so that it would also last longer - and you can only achieve this if you wear the product overnight. It looks like this when applied. You sort of end up looking like an Angry Bird with the gel tint on. 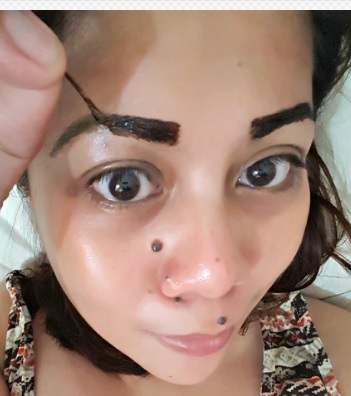 Yes, you can sleep with these funny-looking brows on. No need to worry about getting stains on your pillowcase. They won't rub off as you sleep. I literally woke up like this. The gel tint dries into a rubbery texture, which allows for easy removal. You peel it off gently, starting from the outer corner/tail of your eyebrows. No eyebrow hair was harmed during the peel-off process. Haha! And you peel it off like this. 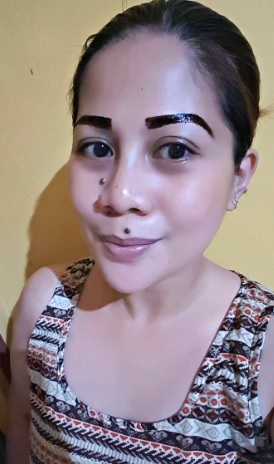 This is how my brows looked like right after 'peeling'. It looks crazy pigmented, but the color softens and looks more natural after I have washed my face. 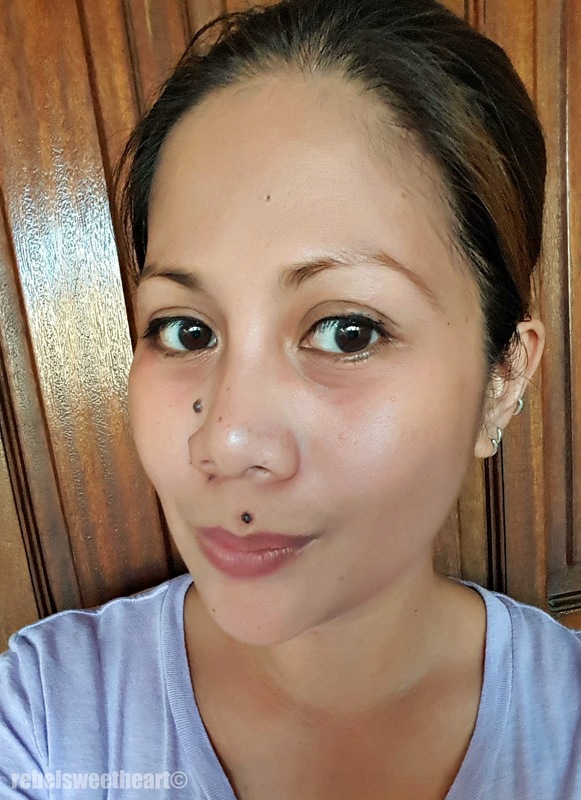 As per instructions, you should not apply force on the eyebrow area within 24 hours of using the product. Hence, I cleanse, tone, and moisturize my face with extreme care, careful not to come in contact with my precious eyebrows. The sales attendant told me that the color will stay on for a few days. In my case, the color lightens a bit by the second day and starts to fade on the third day. By the fourth day, my eyebrows will look like its usual, non-existent state - but with a hint of brown to it. I may have mentioned before that I hardly leave the house without makeup on - or more specifically, without drawing my brows. 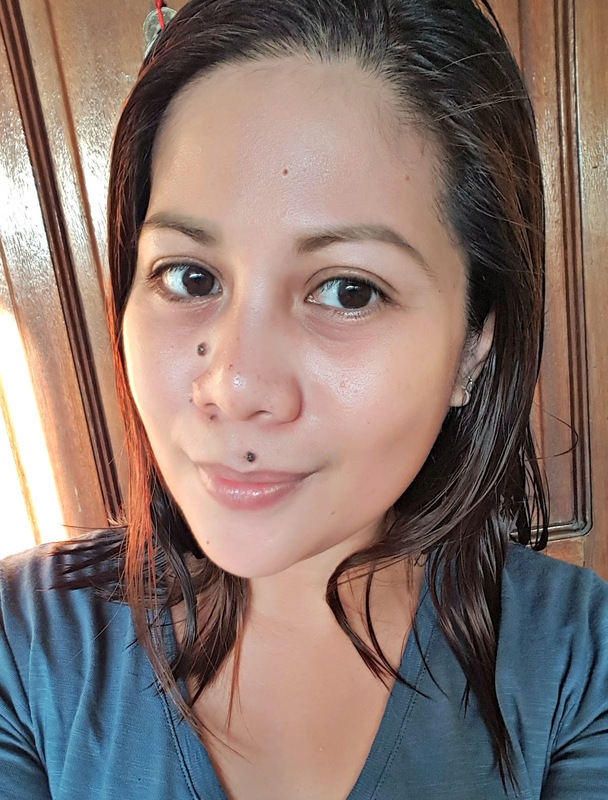 Now I can dare go outside bare-faced, provided that my brows have been tinted the night before. I actually went Pokemon hunting with my siblings last weekend with no makeup on! Just my tinted brows, and the Alice in Glow Oil Tint on my lips! Tinted eyebrows, outlined with my favorite Shiseido eyebrow pencil. Weekdays, of course, are a totally different story. Wearing makeup is imperative, but at least I spend less time working on my brows. I simply outline the arch and edges, brush the color a bit, and I'm done! 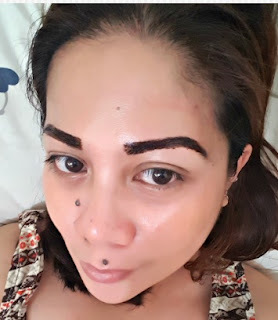 Back then, it would take me about ten minutes or so to get my eyebrows on fleek since I'm practically starting with a blank canvas. Haha! 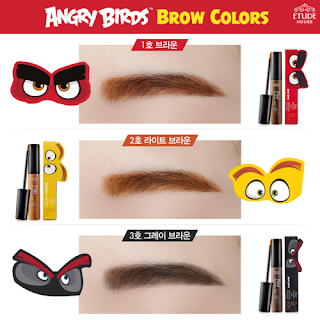 Limited edition sets of Angry Birds makeup. Some of you may find the two-hour drying period a bit taxing, especially for those who are always on the go and don't have much time to do their makeup. 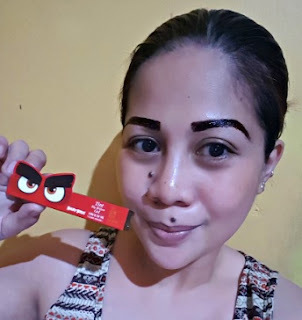 But for some of us who can spare a bit more time for their eyebrows' sake, this product is worth the investment. Looks like you found the perfect solution for your brows. I love how effective it is! You can see the difference in the pictures and it's really awesome.